Crescent Formation - Late Paleocene to middle Eocene (62-48 Ma). The Crescent Formation is comprised of a large volume of submarine/subaerial basalt. The Crescent basalts are among the oldest basalts in this region and makeup the basement of the Coastal range. Babcock et al. (1992) concluded that the Crescent Formation basalts erupted into a subsiding rift basin along the western coast approximately 60 mya. Exposure of the Crescent formation can be found as a continuous swath defining the northern, eastern, and southeastern edge of the Olympic Peninsula. Based on gravity studies, the Crescent Formation is thought to extend eastward beneath the Puget Sound to Seattle. Most of the Crescent Formation, especially on its eastern edge, is covered with Quaternary glacial till deposits. 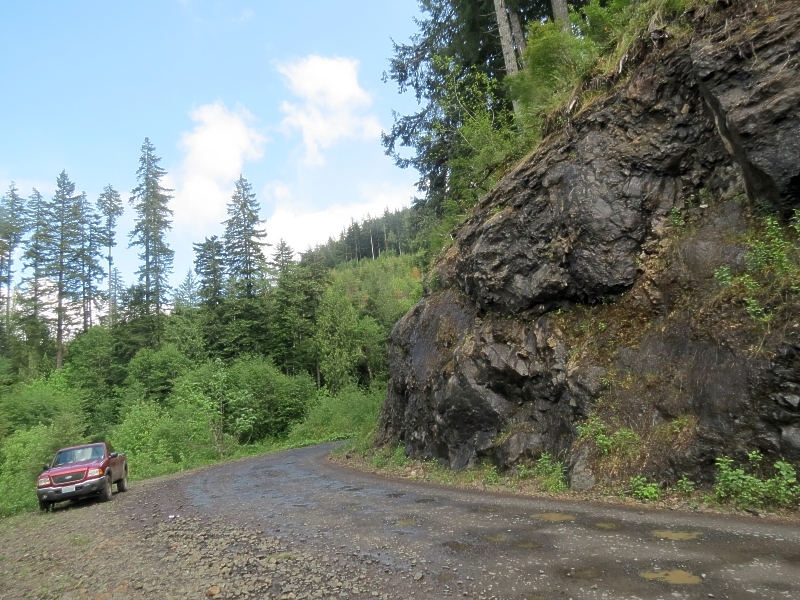 Exposure of the Crescent Formation in Capitol Forest is comprised primarily of subaerial basalt flows that have been altered to a low grade (sub-greenschist facies) metabasalt. 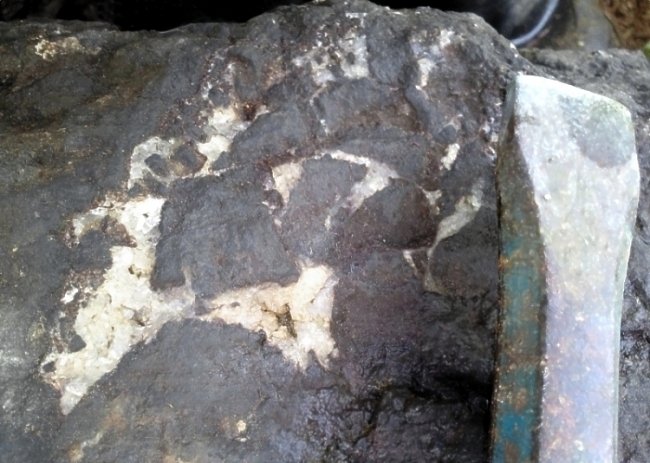 Zeolites have crystallized as amygdules (infilled vesicles) and as infilling in brecciated portions of the basalt. 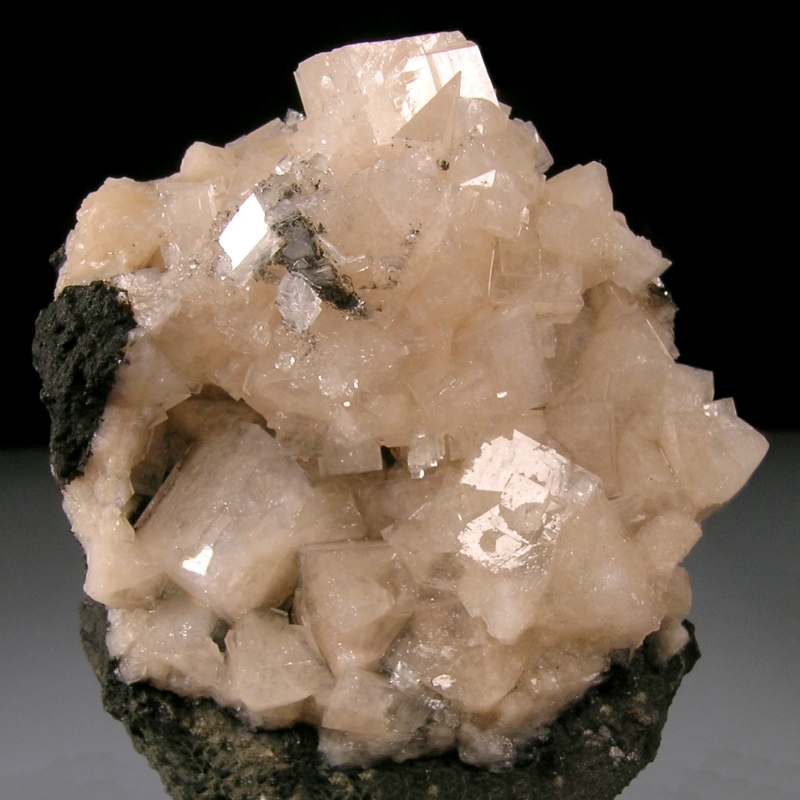 *Chabazite- Occurs as translucent white to peach-colored crystals to 2 cm lining amygdules and breccia voids in basalt. 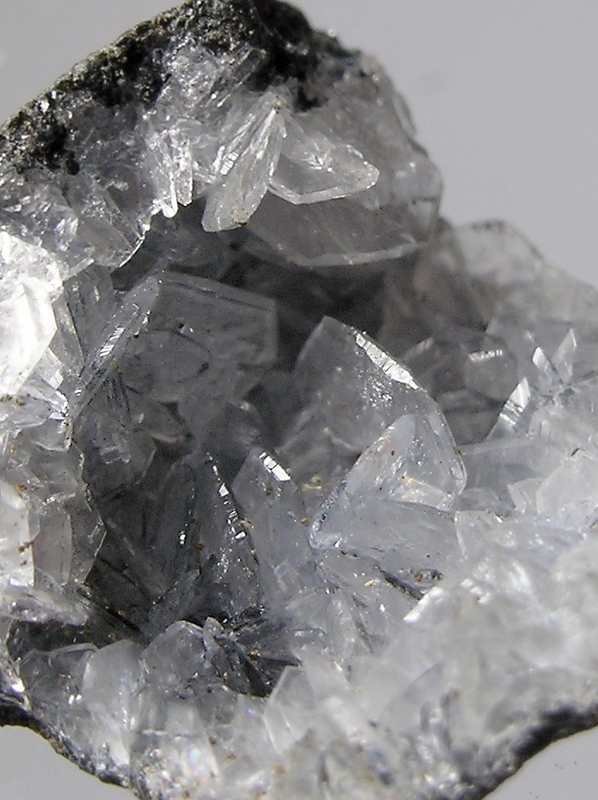 *Lévyne- Occurs as millimeter-scale clear crystals lining amygdules. Stilbite- NaCa2Al5Si13O36 . 16H2O - Occurs small clear crystals to about 1 cm. Geophysical Research, B, Solid Earth and Planets. 97(5), 6799-6821.